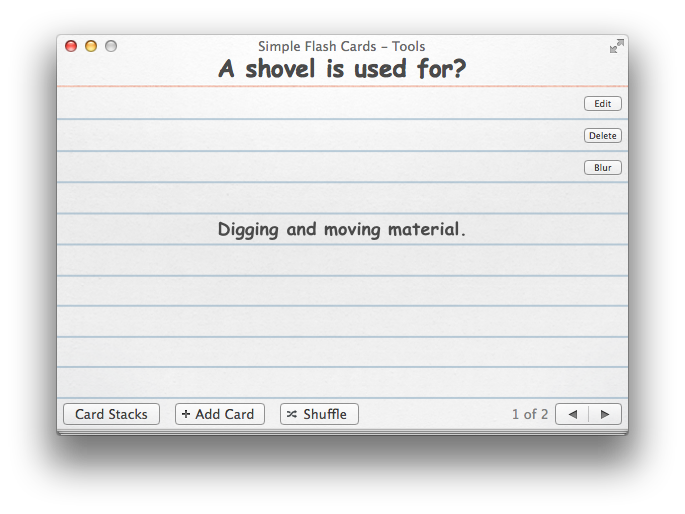 The most intuitive digital flash card app. Works exactly like you would expect a stack of flash cards to work. Ability to create numerous stacks of notecards, shuffle, edit, and blur the content to test your knowledge. 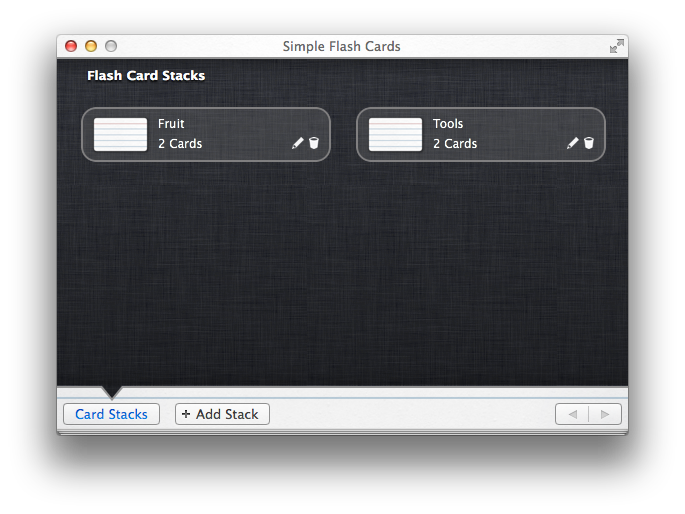 Simple Flash Cards is available on the Mac App Store.